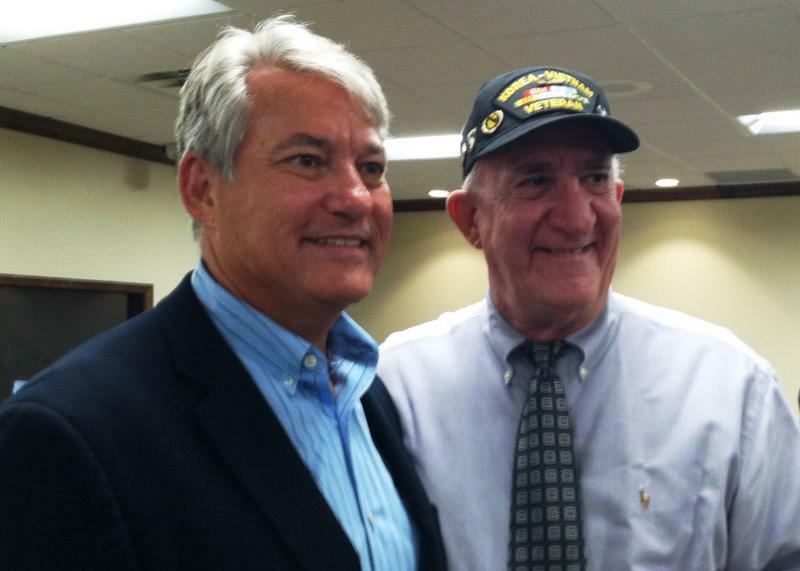 U.S. Rep. Dennis Ross (R-Lakeland) with Army veteran Luis Canino Mas at the Temple Terrace veterans intake. 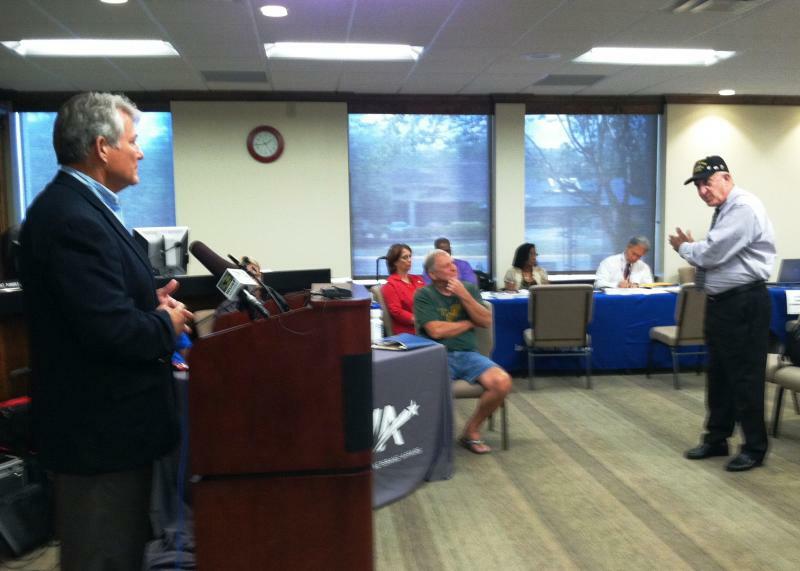 During a news conference, U.S. Rep. Dennis Ross (left)takes a question from veteran Luis Canino Mas (standing). Representatives from the Florida Department of Veterans' Affairs seated at the table were there to help at the veterans intake arranged by U.S. Rep. Dennis Ross (left). Recent months have shown that there is no shortage of veterans who have had problems with the U.S. Department of Veterans Affairs. 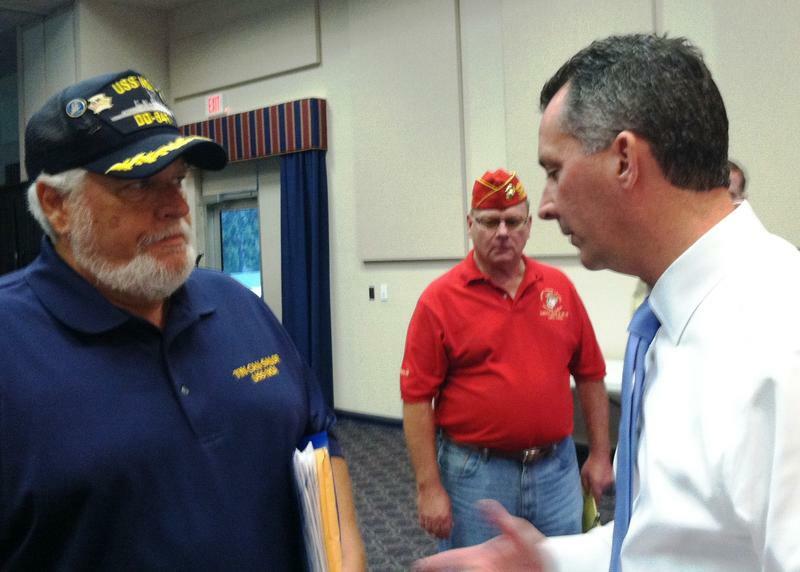 More than two dozen of them brought their issues to the Temple Terrace City Hall for a veterans’ intake event on Wednesday organized by Congressman Dennis Ross (R- Lakeland). Ross said his office has received complaints about delays getting VA medical appointments, but they’re also hearing a lot about problems with VA benefit claims. “What we’ve seen is when the (Department of Veterans Affairs) would receive claims, if they denied them -- and in many cases they denied them -- they would consider them closed,” Ross said during a news conference after hearing from the vets. There’s supposed to be an appeals process for veterans denied benefits, but Ross said many have experienced undue delays with their appeals. His congressional staff is currently working on more than 100 cases involving veterans. Ross said he is open to outsourcing the claims process and offering private medical care as an option if it would speed up service to the veterans. 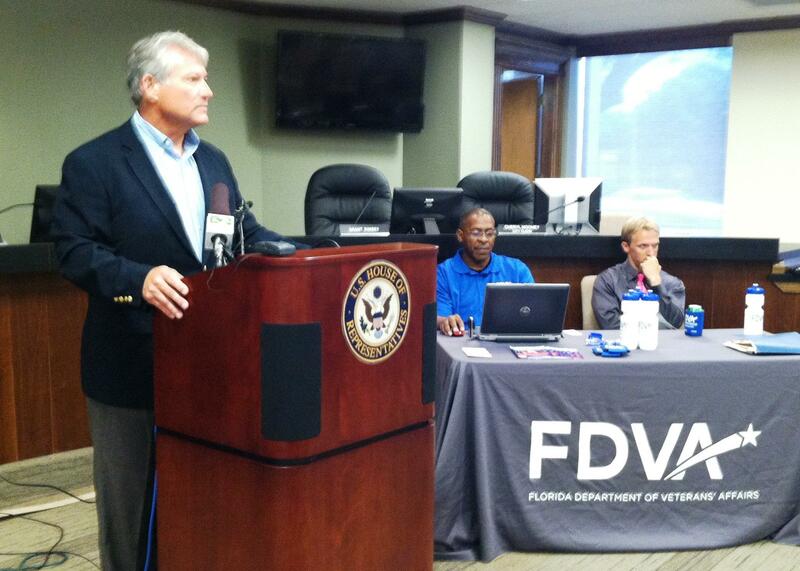 Other Tampa Bay members of Congress, including U.S. Rep. David Jolly (R-Seminole), U.S. Rep. Gus Bilirakis (R-Tarpon Springs) and U.S. Rep. Kathy Castor (D-Tampa), have held similar events recently to give veterans direct access to VA representatives, Congressional staff and state veterans advocates. Nearly 3,000 people are expected to gather in Sarasota Saturday morning to remember and honor veterans for their sacrifice and service. It’s not Veterans Day that’s five months off and Memorial Day was more than four weeks ago. 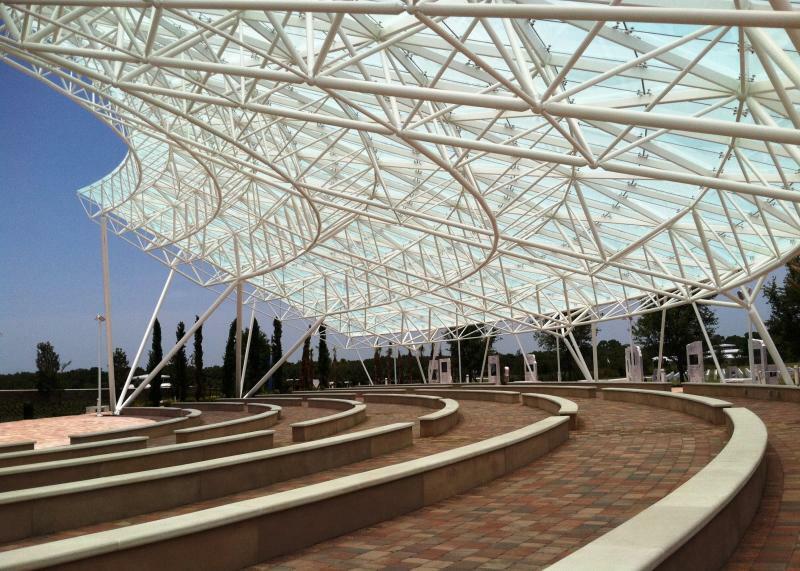 The Sarasota community is gathering to dedicate Patriot Plaza, the first of its kind, privately funded amphitheater and art installation at the public Sarasota National Cemetery. Tampa's James A. Haley Veterans' Hospital officially opened a USO Day Room today, located next to the Spinal Cord Injury Center where there are many long-term patients. This is the first time a USO center has been built inside of a veterans' hospital. Senior Vice President of the USO John Hanson said that although the 1,900-square foot space is not the largest USO center, its impact will be "profound."